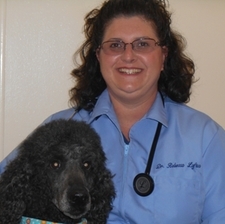 Dr. Loftus graduated from Purdue University School of Veterinary Medicine in 2002. Her focus was on companion animals (small animals and equine). She completed an externship with Dr. Nave at Tropicana Veterinary Hospital in Las Vegas. She assisted and performed many orthopedic and soft tissue surgeries with boarded surgeons. She has interests in soft tissue surgery and equine reproduction. She completed instruction on the tightrope technique for canine cruciate repair. When not working Dr. Loftus enjoys spending time with her family, trail riding, and reading. Lindsey has a great love of animals so it only seemed fit that she should pursue a position helping our four-legged friends! 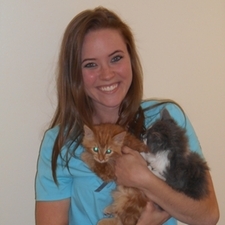 Rachael is one of our technicians studying to become a veterinarian! She graduated with an Agriculture/ Animal Science degree from Western Kentucky University. She has an interest in both large and small animal medicine. She has been working with animals for several years and has a passion for medicine along with helping animals. When she's not working she loves to paint, play video games, spend time outdoors, and spend time with friends and family. Bryce is one of our technicians! She is currently studying to become a certified veterinary technician and will be graduating in fall 2019. She's been around animal's her entire life. Being an owner of three cats, she prides herself on her ability to connect with our feline patients. In her free time, Bryce likes to play guitar, explore outside, and spend time with her friends. Megan is one of our Receptionists! She is currently attending Indiana Wesleyan University online to obtain a Bachelor's Degree in Management with a specialization in Human Resource Management and will be graduating in 2020. She has always had a love for animals, especially her dog and three cats! In Megan's free time, she enjoys spending time with family and friends. 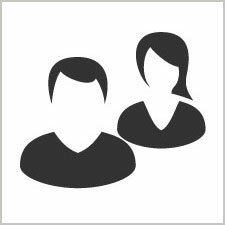 Currently working towards a Bachelor's degree in Management with a specialization in Human Resource Management at Indiana Wesleyan University.